As you can probably tell from my latest reviews, I watched some great films this week. 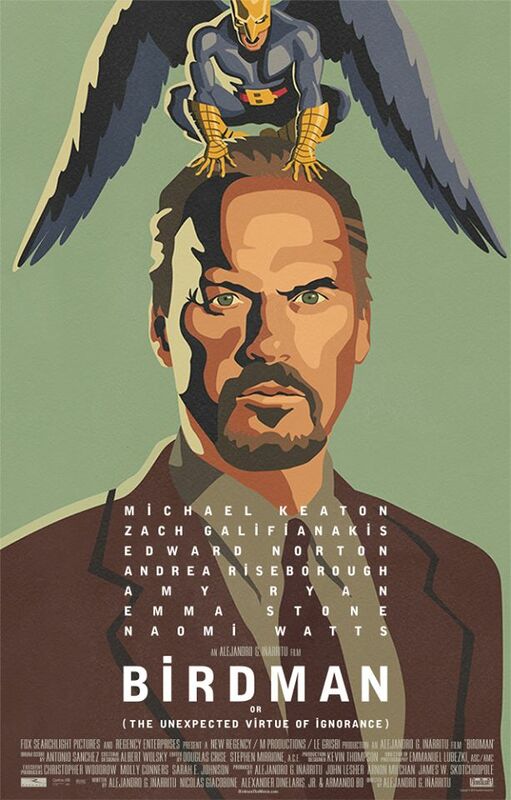 However, nothing dazzled me like Alejandro González Iñárritu's latest film "Birdman". It honestly left me feeling unworthy of reviewing it, but I'll give a shot. "Birdman" is a theater/cinema hybrid that follows a washed up actor named Riggan Thomson (Michael Keaton), who seeks to make a comeback on Broadway with an adaptation of a Raymond Carver story. In his attempt to reinvigorate himself, Riggan takes on the ambitious task of directing, writing and starring in the play. The production starts off on a bad note however, as one of his lead actors gets injured on set. With the play's premiere fast approaching, a lucky opportunity arrives as the ideal replacement is found - a popular, talented actor named Mike Shiner (Edward Norton). Things are looking up for the play, until Riggan and Mike begin to clash over the latter's extreme method acting and their conflicting egos. All the while, Riggan is plagued by the nagging voice of Birdman in his head (the role he was famous for) and the threat of failure. From its first frame, "Birdman" unleashes a full onslaught of creativity. A flaming spectre falls from the sky and then we cut to Riggan, levitating in his dressing room. The voice of Birdman then asks "How did we end up here?" and immediately, the film brings forth its central thematic concerns (disillusionment and rebirth) and challenges the audience's perceptions of reality. Soon after, Birdman adds "This place is horrible. Smells like balls...", introducing the black humor to the mix. The film then moves to the onstage and backstage proceedings surrounding the stage production and we get a hint of the type of classic melodrama which was prevalent during Hollywood's Golden Age. The secret affairs, alcohol abuse and backstabbing are all there. "Birdman" is undoubtedly a contemporary work though, primarily for the innovative techniques it employs. If you hadn't heard already, the film is shot and edited to appear seem like a single long take. This illusion results in some absolutely exhilarating transitions between and within scenes. The creativity isn't just confined to the visuals either. For the background music, Antonio Sanchez's drum score is unlike anything you've experienced on film before. Under all its movie magic, "Birdman" also has a great deal to say with its deft screenplay. There's an obvious metatextual commentary on Michael Keaton's own career, but there's also a more general exploration of the pressures that plague actors - pop culture's branding, the death knell of a negative review and the personal/familial struggles associated with fame. 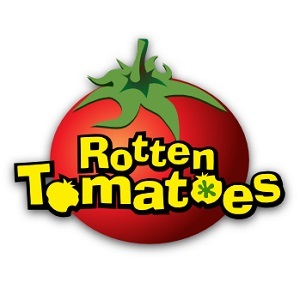 These themes are expressed with gusto by the film's sensational cast, which includes Naomi Watts, Emma Stone, Andrea Riseborough, Lindsay Duncan, Zach Galifianakis and Edward Norton. All of them bring their A-games to the film, making its unique challenge (i.e. the single take) seem effortless. The bottom line is, "Birdman" is something of a miracle. There's a sustained brilliance in this film that's staggering to behold and even more perplexing to contemplate. Alejandro González Iñárritu was always a strong director, but with this latest film he has truly outdone himself. In terms of Oscar, this film is set to be a juggernaut. Expect to see nods for Best Picture, Best Director, Best Actor, Best Supporting Actor, Best Supporting Actress, Best Original Screenplay, Best Editing and Best Cinematography. Nominations for Best Production Design and Best Sound Editing are definitely possible too. Simply put, this is one of your top tier contenders. The only question is whether it can take down "Boyhood" for the top prize. I haven't seen this yet, but it's my most anticipated of all that I haven't seen...for sure. Every review, every award, every notice makes me all the more excited to finally see this for myself. Great review! Thanks Andrew. Glad you liked it because I was very unsure about this particular review. Such a big film to analyze. AMPAS declares Whiplash is an Adapted Screenplay!